This DVD highlights kayak fishing in many regions of the world. 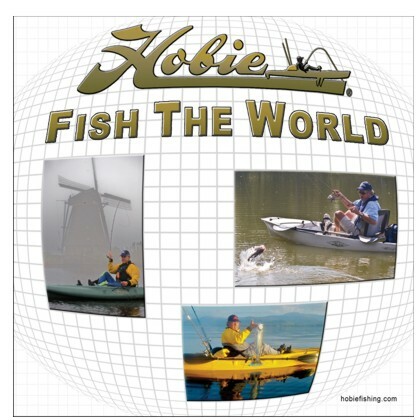 Two members of the Hobie National Fishing Team, Den Farrier and Mike Allen tell the story on many continents, kayak fishing in places we only dream of. Along the way they pedal the new Pro Angler and get to fish with Hank Parker of Bass Pro Hall of Fame. The friendly duo fish for Sooty Grunter and Barramundi, alongside reef species in tropical queensland. Hobie identities Rob Paxevanos (Fishing Australia), Steve Fields (MD, Hobie Australia), Mal Gray (Sunstate Hobie) and Josh Holmes (Hobie Factory Fishing Team) all feature either behind the scenes or on the DVD, a cast worthy of helping Den and Mike film the Australian leg.